Sunflower oil is the perfect TLC for your skin! Taken from the seeds of the sunflower plant, it’s rich in nutrients and anti-oxidants as well as being a healthy, natural way of keeping your skin soft and smooth. Widely used for cosmetic and medicinal purposes, this miracle of nature is reportedly effective in reducing the symptoms of acne, eczema and irritated skin too. Perhaps that’s why users of My Trusty’s sunflower cream (containing 5% sunflower oil and essential fatty acids) enthuse over the transformative effect it reportedly has on a wide range of skin conditions including dermatitis, sunburn and eczema. Skin protection : Sunflower oil is packed with Vitamin E, F and essential fatty acids, which are essential in preventing UV damage to your skin cells. Naturally rich in anti-oxidants, Vitamin E both nourishes and replenishes the outer protective layer of your skin. In doing so it also protects it from damaging environmental effects, while limiting the moisture-stripping effects of extreme cold, wind or sun. Anti-inflammatory : In other words, it minimises the appearance of red, flaky and rough skin. As many of My Trusty sunflower cream’s users testify, regularly using a skincare product that contains high levels of Vitamin E will transform the condition and appearance of your skin. Sunflower oil is high in essential fatty acids such as Omega-6 which, when combined with Vitamine E, results in the beneficial effects seen on inflammatory skin conditions such as sunburn, eczema, acne and dermatitis. Acne-busting vitamins : As well as Vitamin E, sunflower oil is rich in Vitamins A, C and D, together with healthy carotenoids and waxes. This adds to the protective barrier it offers the skin and has been known to reduce acne. With its light and non-greasy texture, sunflower oil is easily absorbed into the skin without blocking pores. With so many vitamins and essential fatty acids, skin cells are regenerated and your skin appears smoother and clearer. High emollient properties : The high emollient (skin softening) properties of sunflower oil may improve your skin’s capacity to retain moisture. Skincare products which contain sunflower oil are especially beneficial if you suffer with dry, sensitive or dehydrated skin. Using sunflower oil in a skincare product helps skin to retain moisture for a much longer time. My Trusty’s body butter also contains 6.5% sunflower oil to combat the effects of dry skin. A source of beta-carotene : Beta carotene is a red-orange pigment found in both plants and fruits which is excellent for overall health. It is also found in sunflower oil, reducing the symptoms of skin sensitivity. The volume of anti-oxidants means that the damaging effects of free radicals are neutralised. Anti-ageing : On the subject of anti-oxidants, Vitamin E on its own can help to preserve the levels of collagen and elastin in your skin which means the onset of troublesome fine lines and wrinkles may be slowed down. These anti-oxidant properties are also known to lower the likelihood of premature ageing which, as we’ve previously warned on this blog, is often brought on by too much sun. 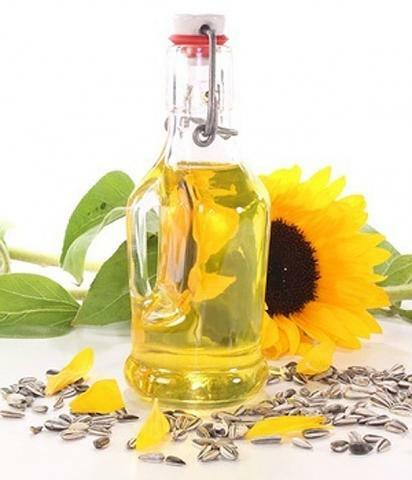 Smooth quality : With its surprisingly light texture, sunflower oil is suitable for use on both normal and dry skin. My Trusty’s sunflower cream is easily absorbed, leaving your skin feeling nourished and non-greasy. What’s not to like? Sunflower oil is a key ingredient in My Trusty’s skincare range. Kind to skin and dermatologically tested, My Trusty products are specially formulated for use on dry skin.